This latest from the U.S. Baha'i site dedicated to news about the persecution of the Iranian Baha'i Community. As an aspiring academic, it made me proud. Baha'i Thought readers who move in academic circles might consider making your colleagues aware of this letter. In an open letter dated March 9, 2009, scholars and academic specialists in the fields of Middle Eastern and Iranian studies call on the Islamic Republic of Iran to put an end to human rights abuses against Baha’is in Iran. Arbitrary Arrests. Authorities arrested five Baha’is in Tehran on January 14, 2009: Ms. Jinous Sobhani, Mr. Shahrokh Taef, Mr. Didar Raoufi, Mr. Payam Aghsani and Mr. Aziz Samandari, followed by the arrest of two Baha’is in Mashhad, raids on eight homes and the arrest of Mr. Nima Haghar in Tehran on February 1, 2009. 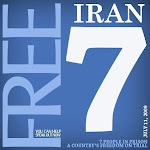 They join not only numerous individual arrested and detained in cities and towns throughout Iran, but also the seven Baha’i leaders who were arrested in 2008, and who remain in prison, despite statements by the United Nations, six Nobel Peace Prize Laureates, and various human rights organizations calling for their immediate release. Attacks on Baha’i Homes. Authorities have been entering homes either to arrest Baha’is and/or confiscate personal belongings such as photos, books, and computers. A new and troubling development is the recent dissemination of a 31-page list of Baha’is in Shiraz that includes their names, professions, and home and work addresses. The list was accompanied by several quotes from high-ranking clerics, including Ayatollah Khomeini, against the Baha’is, and could lead to attacks on the listed Baha’is. Denial of Access to Education. Since 1979, the Iranian government has enforced a ban on Baha’i students from access to higher education, a recognized universal human right, and frequent restriction of home schooling to children who have been denied access to public education institutions. Campaigns of Intimidation. These include the harassment of school children, government sponsored propaganda against the Baha’is in the media, public seminars and symposia, the distribution of anti-Baha’i CDs in various school districts throughout the country, and harassment of those who seek to help the Baha’is, such as Nobel Peace Laureate Shirin Ebadi. The Financial and Economic Strangulation of the Baha’i Community. The Iranian government has, over the course of the past decades, expelled all Baha’i employees of national and local governments, and has moved to confiscate homes, businesses, financial assets, and other properties in a systematic attempt to destroy financially the Iranian Baha’is. Attacks on and Desecration of Baha’i Cemeteries. Baha’i cemeteries in Qaimshahr, Yazd, Najafabad, and elsewhere have been repeatedly vandalized and then completely destroyed. We stand in solidarity with the Baha’is and indeed with members of all religious communities who do not have full rights and freedoms in Iran.